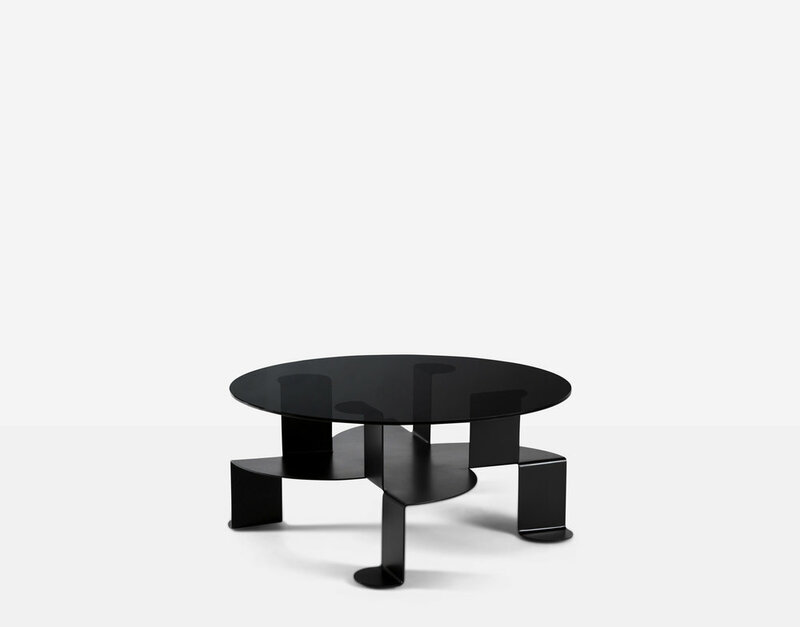 The Aspa Coffee table designed by Pedro Ramírez Vázquez in the late 70’s is emblematic of the work he was doing with Alexander Calder at the time of building of the Azteca Stadium in Mexico City. 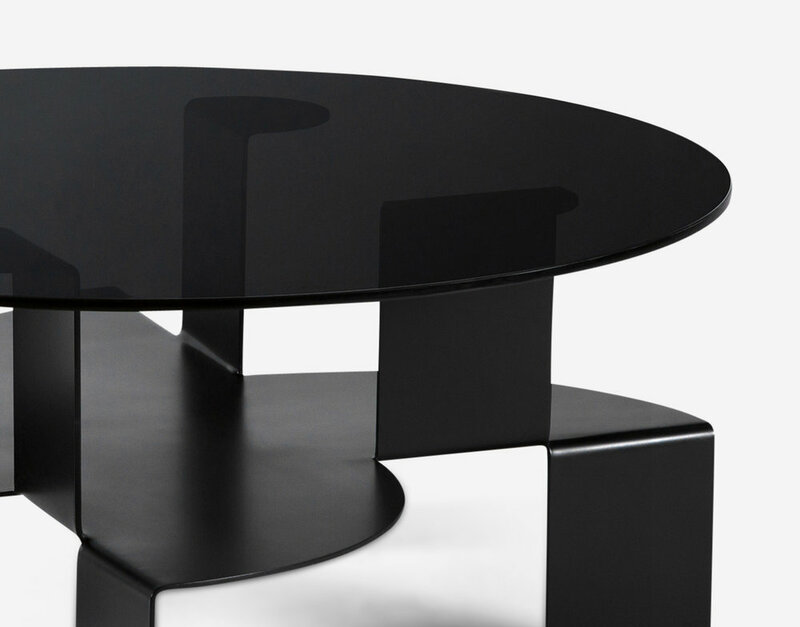 Mathematically brilliant in its 3D form, this laser cut, and bent steel design is geometrically planned and designed to form a sculptural piece. It is also the first piece in this series of the architect’s work to combine another material, which is a glass top.